As the autumn weather draws in, I thought I'd contribute something a little warmer for those chilly nights by the roaring fireside - after all, you can't run around in light frocks all the time, unless you want a wasting consumption! the Winter Warmth collection! This is a more demure, high-necked dress. With a complimentary sleeveless spencer over the top and matching velvet trim on the cuffs and hem, this is a simply, yet softly elegant gown suitable for frosty mornings. This is suitable for both Everyday and Outerwear, if your Regency lady would like to use it as a pelisse rather than a morning gown! 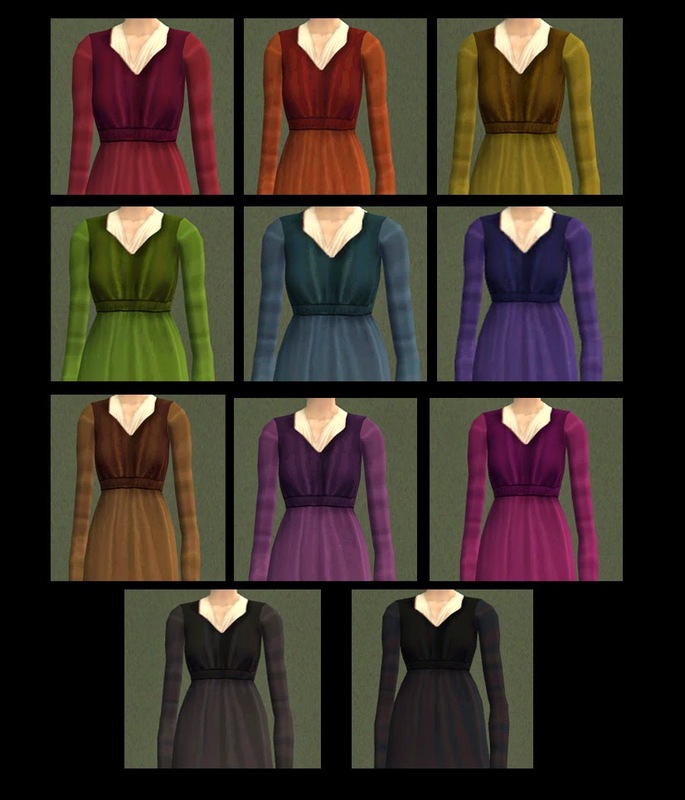 It was originally made for a rather ferocious spinster lady's wardrobe in-game, but the velvety texture came out so well I thought this would be nice in a variety of recolours. You can see all the recolours below. In addition to the colours, I added grey and black, for any Sims in deep mourning. There isn't nearly enough mourning wear out there for funerals! 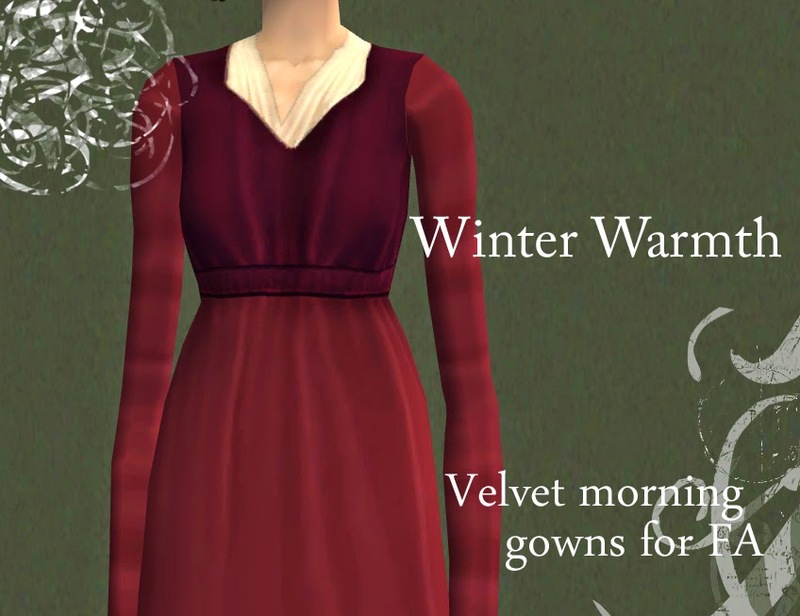 The gorgeous mesh for this gown was made by the awesome Cynnix over at PBK, and is included in the file. Textures are from a bit of Maxis tweaking on Photoshop Elements.